This week, I have chosen a family favorite for you! It is fast and easy, and the taste is absolutely amazing! So let’s get started on Green Chile Enchiladas. This recipe is one of those super fast entrées that can be put together very quickly with very few ingredients. One of the reasons I love it so much is that these ingredients are always in my pantry. 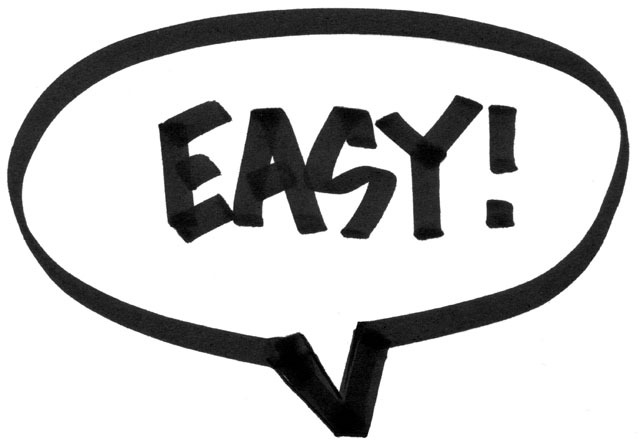 Amber comments: Thank goodness for a dish that is quick and easy! I am so tired from all of the hard work drinking wine and living my best life, I don’t have the energy to cook anything hard! #FirstWorldProblems Ha, Ha! 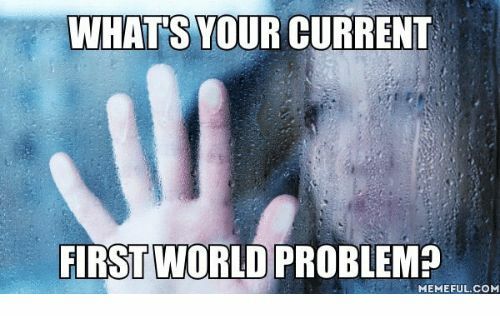 What’s your current first world problem? 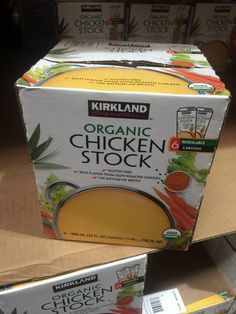 As we get to know each other, you will find that an absolute necessity in your pantry is chicken stock. Chicken broth is different and will do in a pinch, but I love the rich depth of flavor that chicken stock provides. I buy mine by the case, at Costco. It comes in 1-quart boxes that easily store in the refrigerator if you don’t use the entire box! 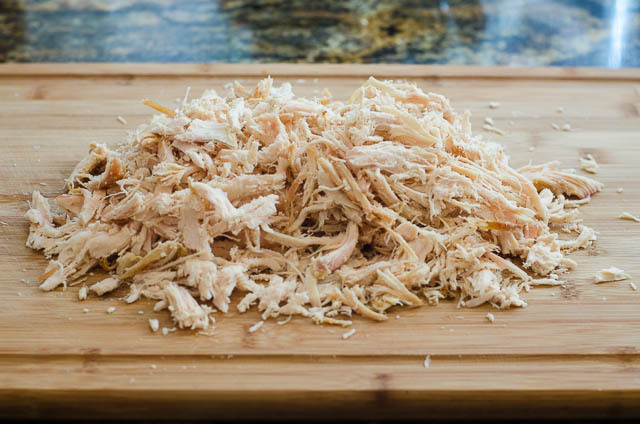 You are going to need about 2-3 cups of cooked, shredded chicken to start off with. You can use leftover chicken, or you can simmer a couple chicken breasts in chicken stock (it makes a huge difference in flavor to cook in stock rather than water), and then cool and shred it. If you are in a hurry, or just feeling like you want it to be easy, pick up a roasted chicken in the deli section of your favorite market. Remove the skin and shred the meat….easy peasy! A small can of MILD green chilies, diced. 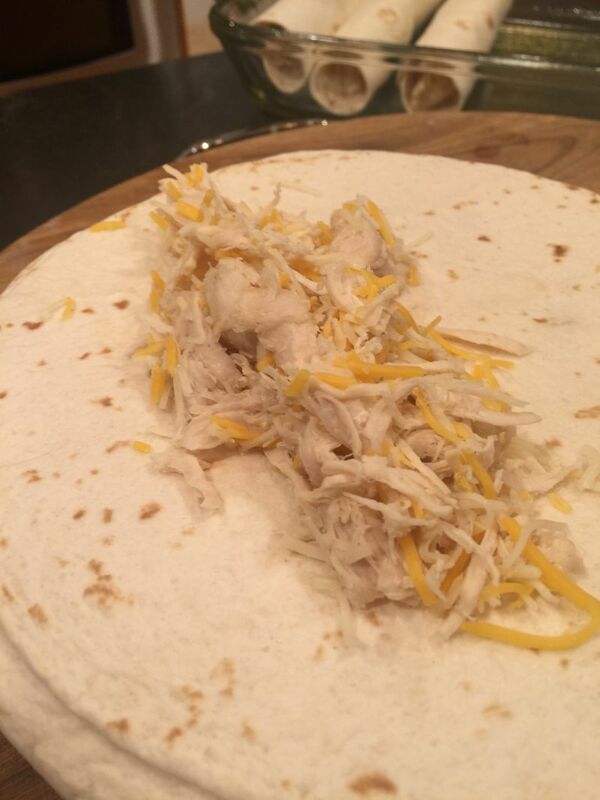 When your chicken meat is cooled and shredded, toss it together with half of the grated cheese. Roll up this mixture in the tortillas, leaving the ends open, and place them seam side down in 9×13 casserole pan that has been sprayed with non-stick spray. 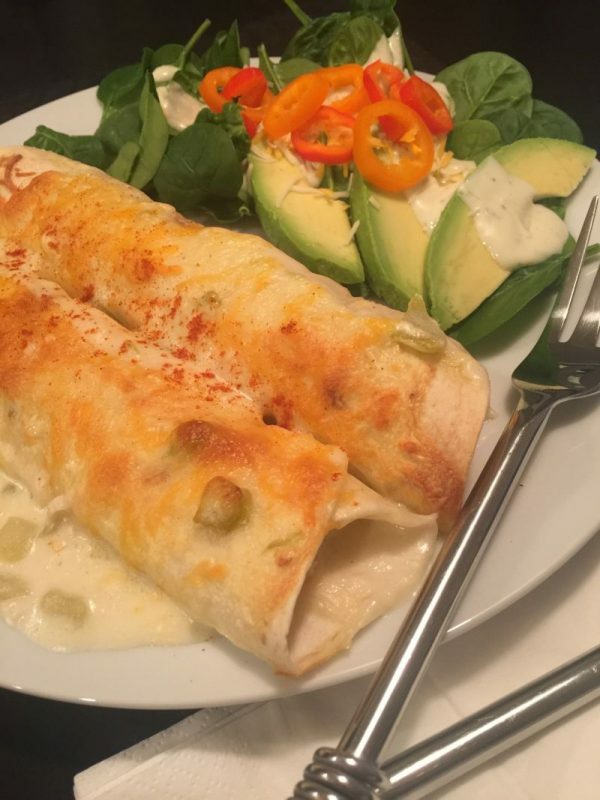 You should end up with 8 to 10 enchiladas, depending on how much chicken you put in them! 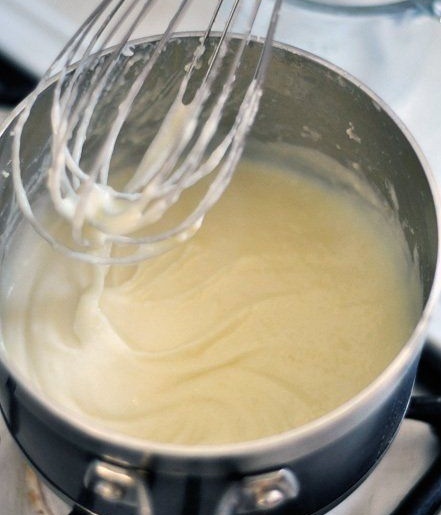 In a quart size saucepan, melt the butter on medium heat and then whisk in the flour. Let it bubble for a minute to cook the flour. Slowly whisk in the chicken stock so there are no lumps! If you add it too fast, you will get lumps and be called out as an amateur! The sauce for the green chile enchiladas should be creamy with no lumps. 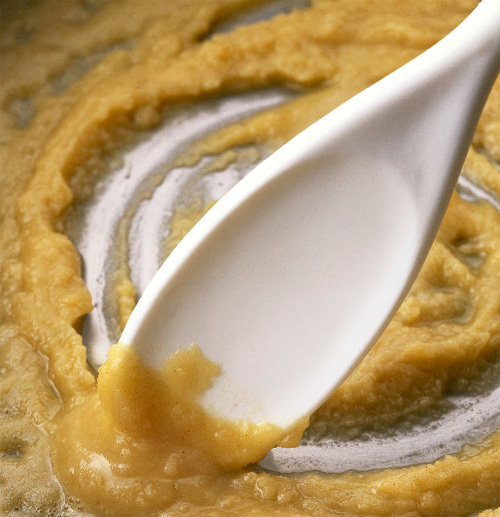 Continue to stir this mixture while it heats until it is thick and bubbly. Remove from the stove, and stir in either the sour cream or the cream cheese block. My family prefers the cream cheese, as it is thick and delicious and adds a rich creaminess to the sauce! Once the sour cream or cream cheese is completely stirred in (the cream cheese has to melt), add the can of diced mild green chilies. Gently stir until it is all mixed together. Green Chile Enchiladas all prepared and ready for the oven. Pour this delicious sauce over the enchiladas, making sure to cover them all! Sprinkle the remaining cheese over the entire dish, and bake at 350 degrees for about 25 minutes! 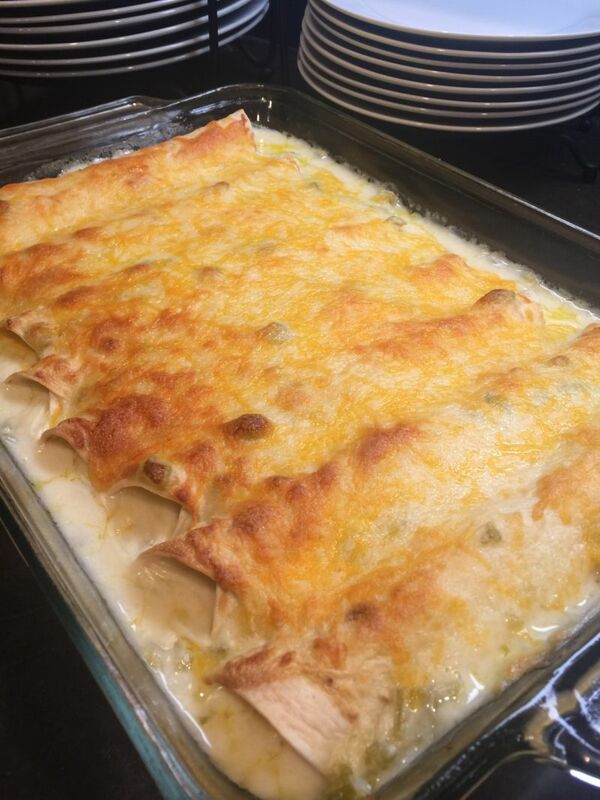 Perfectly baked Green Chile Enchiladas fresh from the oven. This is a MILD dish, not spicy at all–so it’s perfect for a family with children. After you have made it once, you can spice it up by adding onions to the chicken/cheese mixture if you like! I serve this with a side salad with a salsa avocado verde dressing and it is fabulous! For another quick and easy to make entreé, check out our recipe for Mini Frittatas. 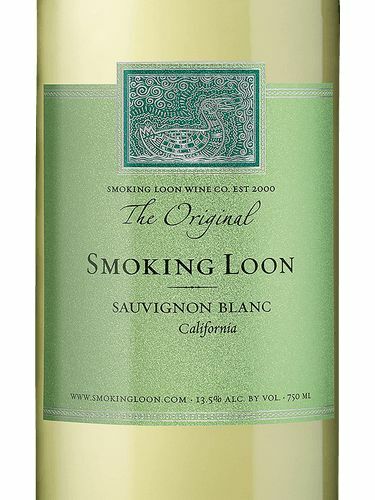 Amber comments: This week’s wine pairing comes to you from Smoking Loon Wines. Their lovely Sauvignon Blanc is an easy sip with its notes of fresh citrus and gooseberry. The wine has good acidity and a short finish. 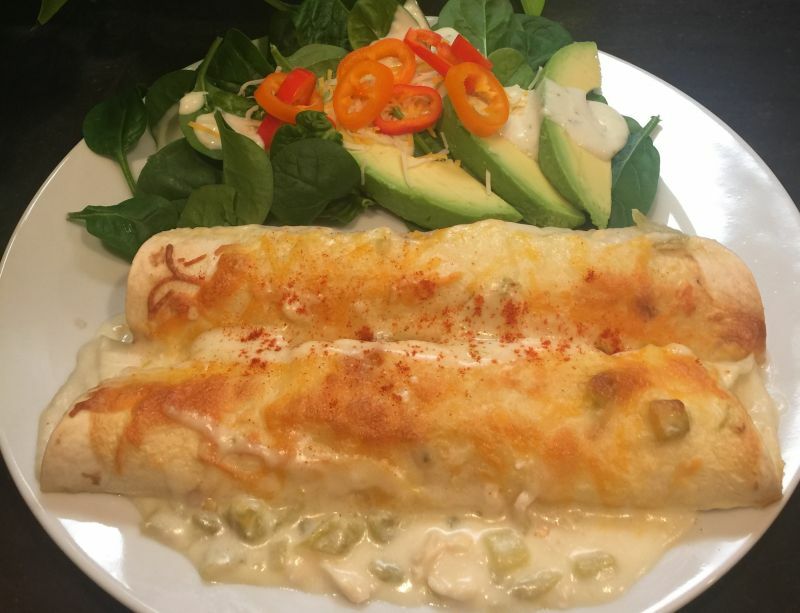 This Sauvignon Blanc will not compete with or overwhelm the creamy and zesty flavors in these enchiladas and is easy on the wallet at around $8.00. 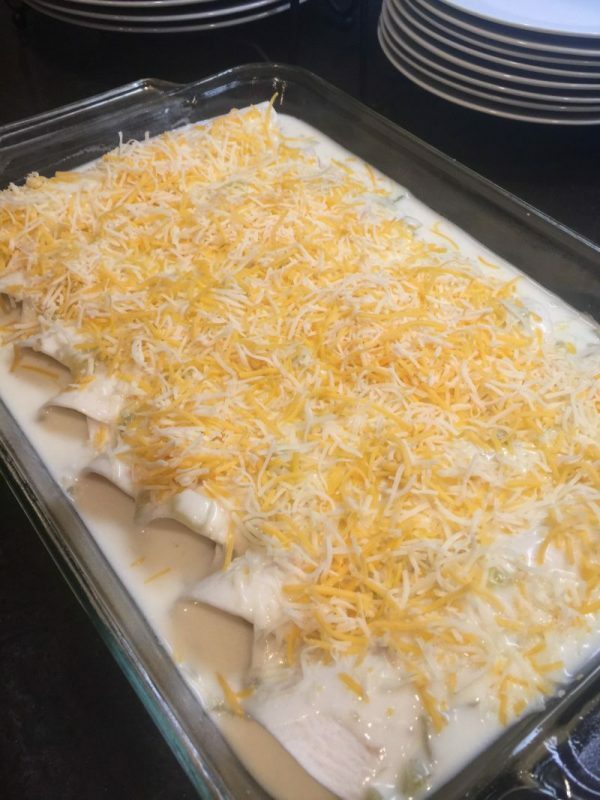 I always made mine a different way before and these are a lot creamier and with the flour tortillas, it makes the whole recipe easy. Thank for commenting.